Effect It helps to prevent and reverse the signs of skin ageing. Recommended Reason Highly stable network of antioxidants with no skin irritation. Non greasy. Both men and women suitable. It prevents free radical damage to skin's collagen and elastin, even skin tone and reduces pigmentations. 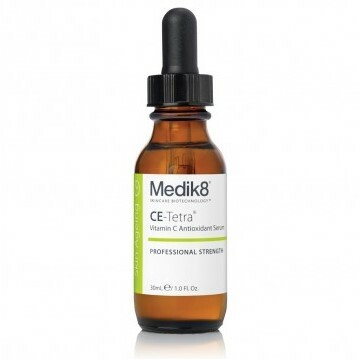 CE-Tetra contains vitamin E to boost antioxidant effect. After Cleansing in the morning, apply 4 drops directly onto the skin and blend evenly across whole facial area, neck, decolletage. Alternatively, place a drop on your finger and massage into the skin. Leave to absorb before applying your regular hydator.